CRP acreage declines as pressure to plow grows. When we lost Soil Bank, a generation of hunters lost its ducks and pheasants. Will the government doom today's hunters to the same fate by killing the Conservation Reserve Program? "Wasn't that in grass last year?" I asked, pointing out the pickup window to a harvested soybean field. Tom nodded. "They took it out of CRP. That's what happens when soybeans hit $9 a bushel." "OK, soybeans at $9 -- I get that. But diesel is $4 a gallon. Roundup-ready seed is up, and I hear Roundup's going up, too. I don't know much about accounting, but even I know that $9 price is gross -- before expenses. The CRP check from Uncle Sam was net profit, at least before taxes." "Well, I can kind've show you how it works out on the back of an envelope. They make more money, if the crop's good, maybe a lot more. But you've got a point -- there's a lot of risk that goes with that field when it's in beans. There's no risk to the CRP." He scratched behind an ear. "What you're missing is that planting that field, cutting those beans in the fall -- that's farming. Some of these guys don't want a check from the government. They just want to drive the tractor." I'm lucky Tom isn't one of those guys. He oversees the farming on two 600-acre parcels in western Iowa for his wife and her family. As far as he's concerned, one of the most important crops on that land is pheasants. He's taken every opportunity to get into federal conservation programs -- CRP, continuous CRP, CREP and wetland reserve, in addition to terracing, buffer strips, shelterbelts and grassed waterways. He's protecting soil on most of his farms and slowly rebuilding it on some of the steep slopes. In the process, he has created a patchwork of cover and cropland ideal for pheasants, white-tailed deer and a host of other wildlife. My Brittany spaniel and I treasure the invitations we get from him. CRP is under pressure from many quarters these days. On one side is the recent rise in farm commodity prices, driven in part by federal mandates for increased ethanol and biodiesel production and in part by an increase in international demand for farm products. As recently as last January, soybean prices were holding well above $9 a bushel, which suggests that the siren song of the soybean will continue to beguile farmers for some time. Since 1995, soybean crops in North Dakota have increased almost six-fold to 3.9 million acres in 2009, and since 2001, CRP acreage in pothole country of the Dakotas and Montana has declined by 15 percent from 8.1 million acres to 6.9 million. The contracts on about 2.4 million more acres of CRP are scheduled to expire by 2013. Farmers who just want to drive the tractor will have a golden opportunity to do it. And while the market is nibbling away at CRP on one side, the federal government is undercutting it on another. In 2008, Congress dropped the ceiling for CRP in the United States from 39 million acres to 32 million. Payments for CRP have risen with the prices of land and farm commodities, and there is pressure to trim the overall cost of the Farm Bill. Whether you hunt pheasants or mallards -- or both-- the decline of CRP cover on the northern prairie is bad news. We've been through this cycle before. Back in 1955, the folks in Washington decided to fund a program to retire farmland. They provided funding for short-term contracts and longer-term arrangements that set aside fields for 10 years. They called the program Soil Bank, and at its height in the early 1960s, it idled more than 28 million acres of farm ground. Soil Bank didn't have an immediate effect on duck populations because the northern plains suffered through drought in 1956, 1959, 1960, 1961, and 1964. But even with repeated droughts, the Soil Bank cover slowly pulled ducks out of the hole. By 1966, duck harvest in the United States topped 11 million birds. The last Soil Bank contracts expired before 1970, but by then, the potholes were in a wet cycle that lasted through most of the 1970s. Water made up for limited cover, and duck numbers, along with harvest, stayed high. In the 1980s and early 1990s, we got to see what happens to ducks when there's no water or cover. Drought returned to the potholes in 1980 and 1981, 1985 and 1988 through 1992. The next great federal land retirement program, the Conservation Reserve Program, was launched in 1986, but with so little water on the land, CRP cover didn't gain a solid foothold for several years. Duck populations and hunter harvest collapsed. In the mid-1990s, snow and rain returned to the prairies. CRP flourished, and North American ducks enjoyed a renaissance. By 1999, population estimates had rebounded to more than 40 million breeding birds, and harvest jumped back to more than 16 million. The years from 2002 through 2004 saw a return of drought to the potholes. In parts of Canada, it was the worst drought since the Dust Bowl. But CRP was still in place. 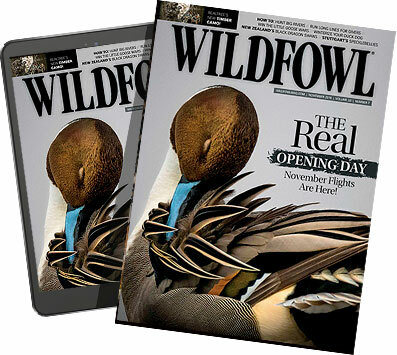 The residual cover compensated partially for the lack of water, and although duck numbers fell, they didn't drop to the depths waterfowlers suffered through in the early 1960s and late 1980s. Duck harvest only dropped by 3 million birds, far short of the collapse that occurred in 1961 and 1962. We've had a run of reasonably wet years since 2005, and so far, it looks like the potholes will be full again this spring. Still, if the patterns of the past hold, we're due for another dry spell on the northern prairies. And if the predictions of future climate turn out to be accurate, drought is going to be a more regular fact of life in the prairie potholes. Permanent lakes in closed basins on Canada's prairies have shown a steady drop in water level for the past 40 to 80 years, according to researchers who have been following the trend. A group of climate specialists from Canadian universities has recently offered this assessment of the future of the potholes: "Increasing aridity and habitat loss in the prairie grasslands is likely to negatively affect migratory waterfowl populations. Aquatic ecosystems will be stressed by warmer and drier conditions." As the water supply for prairie wetlands becomes less certain, extensive upland nesting habitat will become even more important for waterfowl and nearly all other grassland birds. CRP isn't a replacement for potholes, but our past experience suggests that we can reduce the effect of drought on ducks by providing plenty of upland cover. We won't be able to control the climate, at least in the next 50 to 100 years, but we can preserve the grass that provides the nurseries for our ducks. Whether that grass is part of the native prairie or a cover crop planted as part of CRP, it can be protected by federal policy, as it has in the past. run the experiment already at a landscape scale. We established Soil Bank, watched it work for farmers and wildlife, and then took it away. The effect on our waterfowl, pheasants and songbirds was unmistakable and impossible to ignore. Surely, we don't have to run the experiment again.